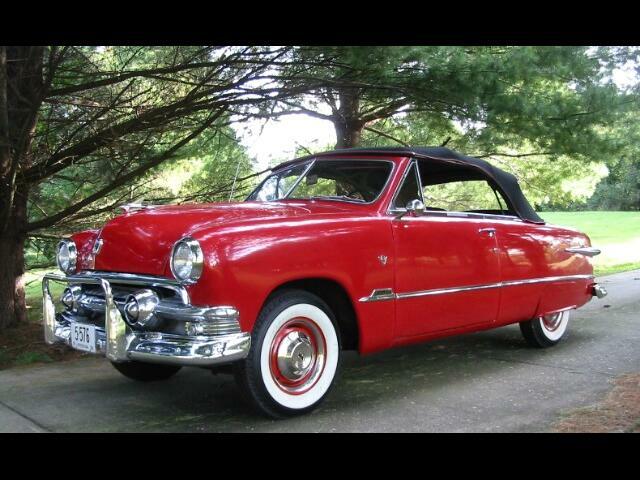 1951 Ford convertible with flathead V8 engine and three speed manual transmission on the column. This car has been in a collection for over twenty years and always had the best of care. Super nice straight rust free body, with nice original chrome, Interior was redone several years ago with correct vinyl throughout. Convertible top is super nice condition also. A wonderful car to drive, and great for shows or cruze ins. Not a rust bucket and never altered in any way. Message: Thought you might be interested in this 1951 Ford Custom.